Use the Legislative Finding Aid (available in the Reading Room) and under the section titled “Senate Testimonies” or “House Testimonies” browse by year, committee name/acronym, and meeting date. The number to the left of the committee name is the call number. 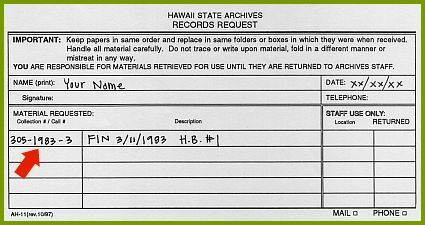 Fill out a Records Request; being sure to include the call number, the committee’s name, the committee’s meeting date, and the bill number.